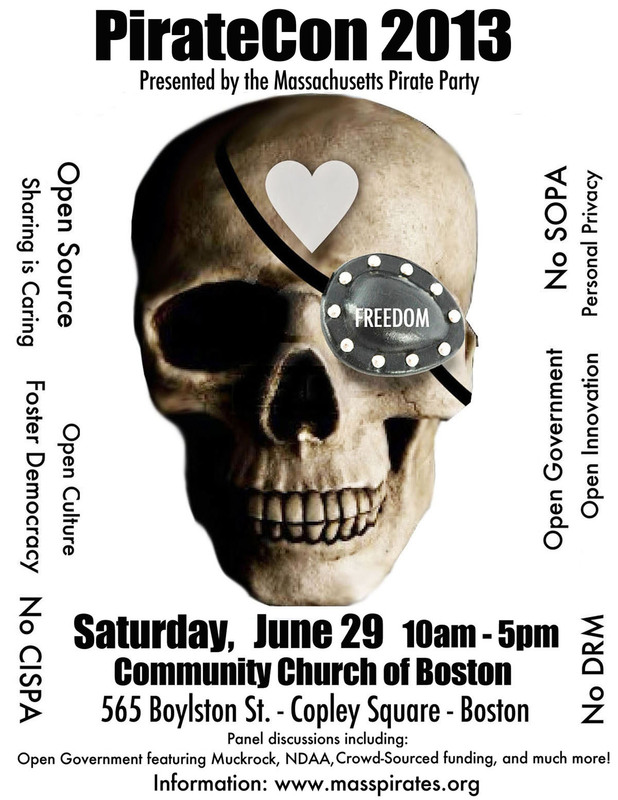 PirateCon 2013, our 2nd annual conference, took place on June 29th at the Community Church of Boston at 565 Boylston St in Boston. Maurice Morales put up the videos he took of a number of the talks. We will post more as they become available. Registration was $10. Please register on-line. There will be free wifi at the conference. We provided a poster and flyer that people could use to spread the word about the conference. We will post slide decks for the talks as they become available. We will post videos of the talks after the conference.